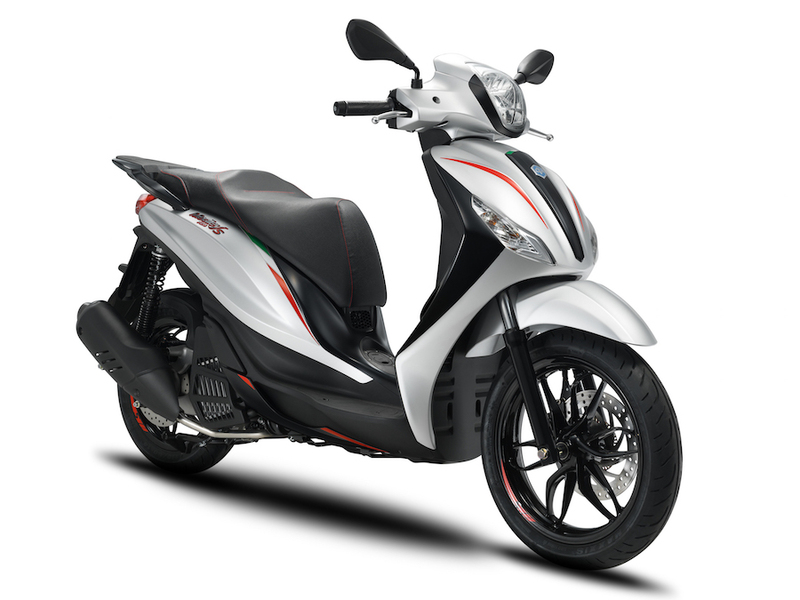 The Piaggio Medley includes a water cooled 4 valve I-Get engine, two-channel ABS and Medleys own quiet stop / start technology. Spacious under seat storage area. Under-seat storage with a capacity of 36.2 litres. Self powered electronic anti-theft including an immobiliser deterrent and a powerful siren to combat any attempt at tampering. Two colour combinations, Silver Matt and Black Matt. Several optional accessory systems at additional cost can be installed, such as the bike finder, the Piaggio Sound System and the Piaggio Multimedia Platform which enable a mobile phone connection via Bluetooth to show engine statistics, navigation and optimal riding conditions for viewing or downloading to your computer. Other additional accessories are available such as non-slip mat, leg cover, waterproof vehicle cover, wind shield, top box, and TomTom Vio Piaggio Group Edition.